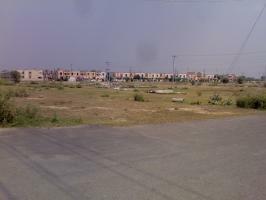 The uninhabited LDA projects are under consideration for Naya Pakistan Housing Programme. A great setback for the Imran Khan government in “Naya Pakistan Housing Project” as there is no preparation for the “land bank”. Thorough work will start on the plan next year in February. According to sources, the construction of the “Naya Pakistan Housing Project” houses in the provincial capital has been delayed till next year. They said, the incomplete lists, related to the construction of the houses, of the treasure department also caused delay and no preparation for the “land bank”. Three cities have been given the final shape. Construction of the houses in Lahore will start next year in February. Fata and Urban unit expressed concern over the land provided by the treasury department. The uninhabited schemes of the Lahore Development Authority (LDA) is under consideration for the Naya Pakistan Housing Project.